I can practically smell Thanksgiving dinner as I type this! The holiday season can be so wonderful, but it can also be beyond overwhelming to say the least. You know that feeling? *Raises both hands. This a sponsored post with Mirum, all opinions are my own. I thought it would be fun to share a fun DIY filled with must-haves for this time of the year. Enter these Sanity in a Box ideas! A Sanity in a Box gift would make the perfect hostess gift or gift for your girlfriends or heck go ahead and impress that MIL of yours. With the inclusion of goodies that encourage some well-deserved R&R as well as Lipton’s tea, this will be a hit. 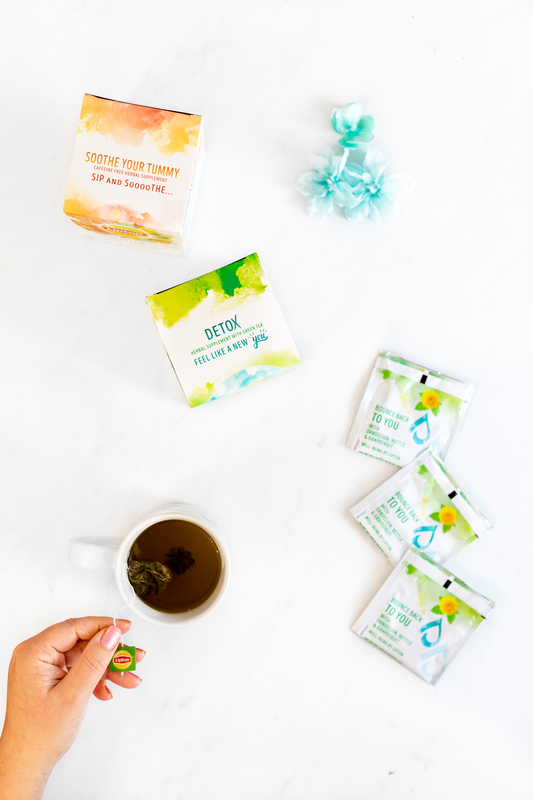 Their Soothe Your Tummy Tea or Detox Tea is just the way to soothe and unwind after a hearty holiday meal! Surprise someone who deserves to be treated to something special with this fun DIY gift. Let me tell you my fun gift box filler ideas to get you started. Jars or Containers to package up Beauty Ingredients. I couldn’t find any slippers that I loved, so I bought plain ones and added my own big fluffy pom-poms with a glue gun. I LOVE how they came out! 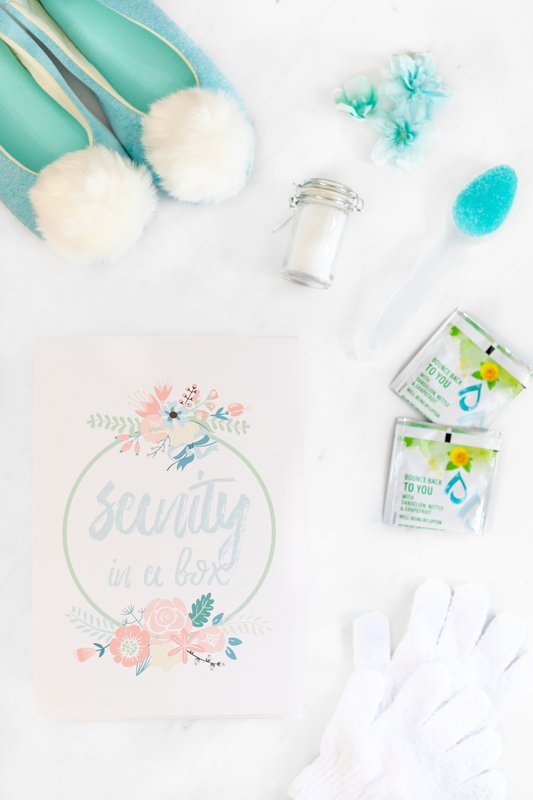 Add all of your thoughtful goodies to a box and gift to everyone who deserves a little break this holiday season! 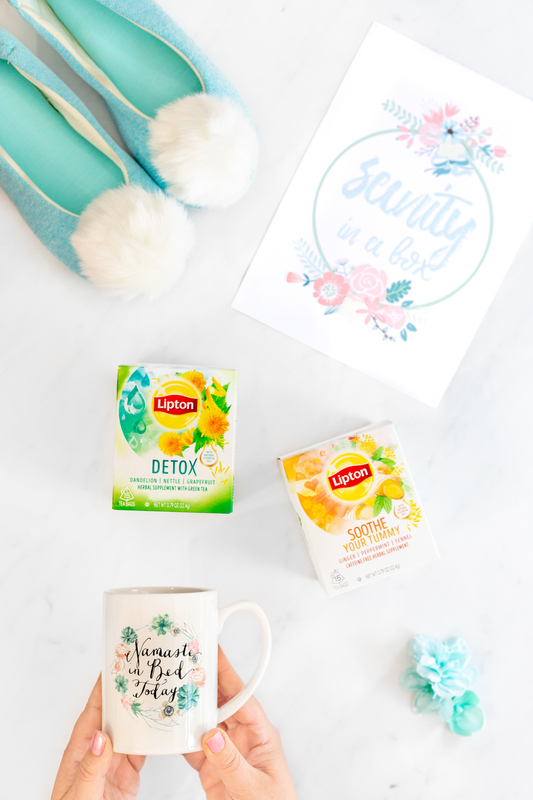 Lipton Soothe Your Tummy Tea – this Caffeine-Free Herbal Tea is made with ginger, peppermint, and fennel. This tea is carefully blended for maximum flavor and ability to soothe. SAVINGS: Check available Lipton Offers & shop Publix NOW.